This is a problem that plagues many students studying organic chemistry and it is one of the cornerstones of getting through the class. Without a clear understanding of stereochemistry, determining the correct product for future reactions will be impossible, so let’s break it down into some simple concepts. Concept 1 – in order to have stereoisomers, the molecule must be CHIRAL. Carbon center with 4 unique substituents, meaning they are chemically distinguishable from each other. In this example, the molecule on the left has 3 red hydrogens. 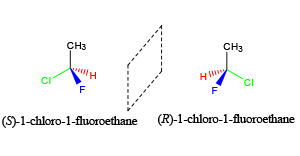 These hydrogens are chemically indistinguishable from each other. So the molecule is ACHIRAL. The molecule on the right has 1 red hydrogen and 3 other unique substituents. Therefore, the molecule is CHIRAL. 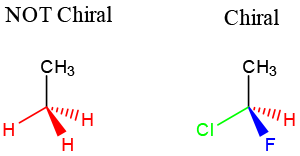 Concept 2 – Chrial molecules that have STEREOISOMERS. Stereoisomers are molecules that have the same chemical formula, but differ in their arrangement at a chiral center. 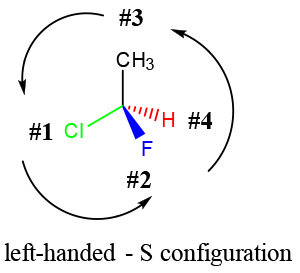 Concept 3 – Stereoisomers are identified by their “HANDEDNESS”, which refers to the arrangement of the substituents relative to their importance. In general, elements of higher mass have higher priority. Refer to our tutorial on chirality for more details. Concept 4 – There are two types of STEREOISOMERS, enantiomers and diastereomers. Enantiomers contain chiral centers that are non-superimposable & mirror images. They only come in pairs! Diastereomers contain chiral centers are non-superimposable but are NOT mirror images. There can be many more than 2 depending on the number of stereocenters. An easy way to remember enantiomers from diastereomers is to memorize the picture below. In the case of 2 chiral centers, 4 stereoisomers are possible. Only the exact opposites (diagonal arrows) are enantiomers and they therefore have a mirror image that is not superimposable. 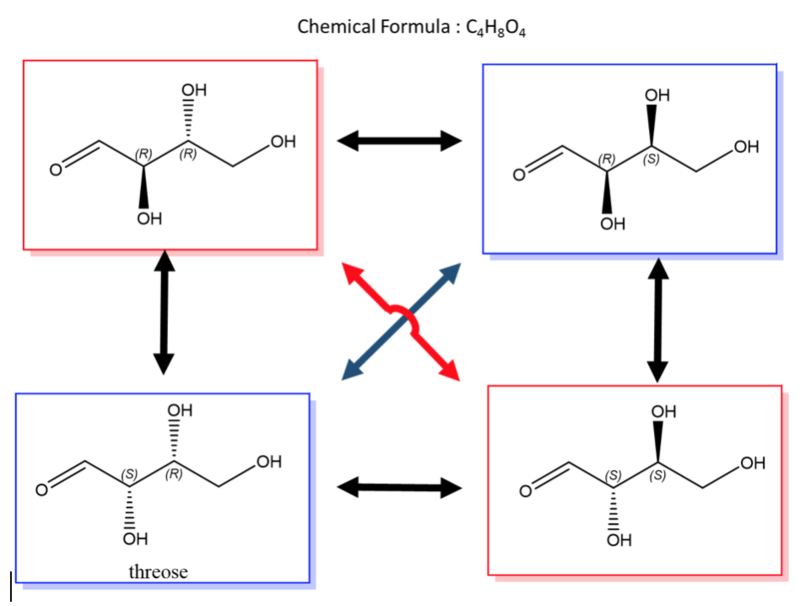 The molecules with only one stereocenter that differs (parallel arrows) are diastereomers. A biological example of this is saccharide (or sugar) chemistry and below is the enantiomers and diastereomers of threose. 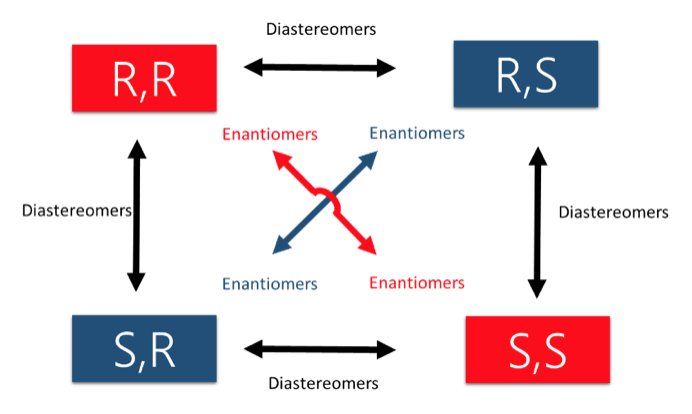 While enantiomers can only come in pairs, many diastereomers can exist for a given molecule. Let’s take, 5-DHT for example, the metabolically active form of testosterone. This molecule has 7 stereocenters, using the 2N rule for determining the number of stereoisomers, which gives 128 possible combinations. But only one of them is the enantiomer of 5DHT! The rest are diastereomers. 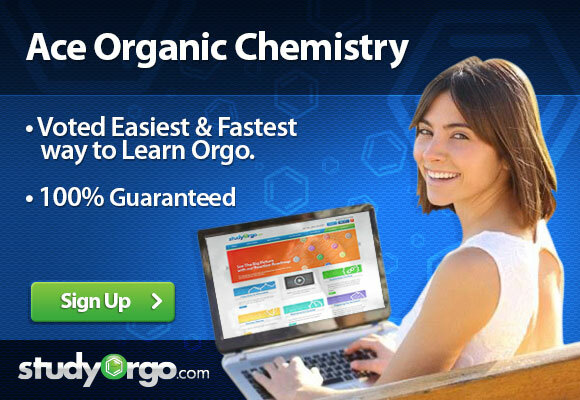 This is just an example of the crystal-clear explanations you will receive as a member of StudyOrgo.com about important, and often confusing and poorly explained, concepts in organic chemistry. Our site developers have listened to students’ concerns and have come up with clear visuals to our tutorials on organic chemistry topics. Interested further? Sign up today!